Cork Taxi Owners Co-operative Society Ltd records information related to the booking. We take your privacy seriously and will only process your personal data with your consent and in accordance with our Privacy Notice. Kinsale Rugby 7s -2nd to 4th May. The Guinness Cork Jazz Festival 2014 is fast approaching. Running from October 23rd to 27th 2014 it has featured some of the biggest names in Jazz over 36 years since 1978, artists such as: Ella Fitzgerald, Dizzy Gillespie, Cleo Laine, Dave Brubeck, Benny Carter, Gerry Mulligan, Stephane Grappelli, Chick Corea and many more. In that time over 1 million people have visited the festival, many coming from UK, USA and continental Europe and is one of the most important events on Ireland’s arts and cultural calendar. 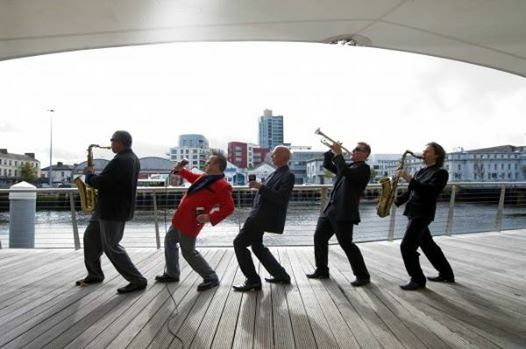 The Guinness Cork Jazz festival is an established and respected festival on the circuit. This year artists from Imelda May to the Drifters and Frank and Walters will be starring with many many more! So why not book your taxi with Cork Taxi Co-op today and let us show you what the Guinness Cork Jazz Festival has to offer.